Remember PACS 2005? We had mostly CRT’s instead of flat panel displays, they needed a dedicated, very expensive medical video board, we used floppies to exchange information, 100 MBps was a fast network connection, which by the way was typically on a dedicated network as VLANS’s had not yet been deployed. Storage was so expensive that we used MOD or even DVD (yuck) jukeboxes for mid-term and long-term archiving of images. PACS systems did not talk to each other and we had yet to experience the many pains of migrating all those images if we were going to switch vendors. We did not know about virtualization, zero footprint viewers and VNA’s, and a cloud was still just a white fluffy thing in the sky instead of a way to outsource your data and image storage. Looking back at those days, which were also reflected in the requirements for a PACS administrator to become certified, you can see that a lot of things have changed from a technical perspective. If you had not learned and advanced your knowledge as an imaging and informatics professional during those years, you would be hopelessly obsolete now. That is why the PACS Administrators Registry and Certification Association (PARCA) recently updated its certifications. The new requirements are posted on the PARCA website and the corresponding exams will be updated over the summer to reflect these certifications. 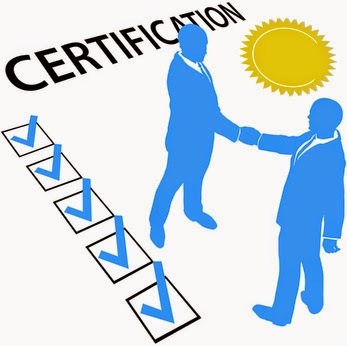 Candidates are actually encouraged to renew their certifications to become “2014” certified. Taking the exam again (or for the first time for that matter) is a good thing, as you can show that you are serious about staying up-to-date as an image an informatics professional. And remember, it is not about the piece of paper, it is like a race, it is all about the journey. As soon as you are at the start line of that race, you have accomplished what you are looking for, the race and in this case the exam is just a formality and confirmation of your up-to-date skills. 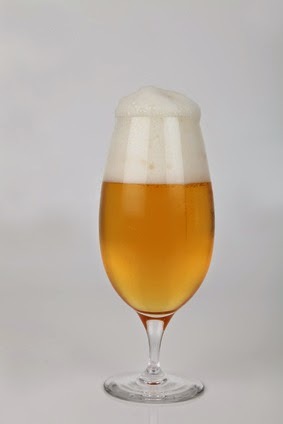 From drinking a Corona to potentially catching the Corona virus. It had been only one week since eating out in Mexico City at night and having a Corona or two, that I landed in Jeddah, Saudi Arabia during the Corona virus scare. This virus has nothing to do with the famous Mexican beer but rather is an abbreviation of Coronaviridae, the name of a family of RNA viruses. It is also known as the MERS or Middle East Respiratory Syndrome. Apparently when I landed in the region, a visitor had just died and the death toll was up to almost 70 people, while there are more than 200 cases reported. Unfortunately, the whole affair overshadowed the second HIMSSME conference in this city as healthcare public officials were more worried about the public unrest and concerns than paying attention to the conference. Interestingly enough, the advent of health care IT implementations, and especially the reporting, surveillance, and analytics of healthcare information, as shown at the IHE showcase during the conference, is exactly what would assist in the management of such outbreaks. 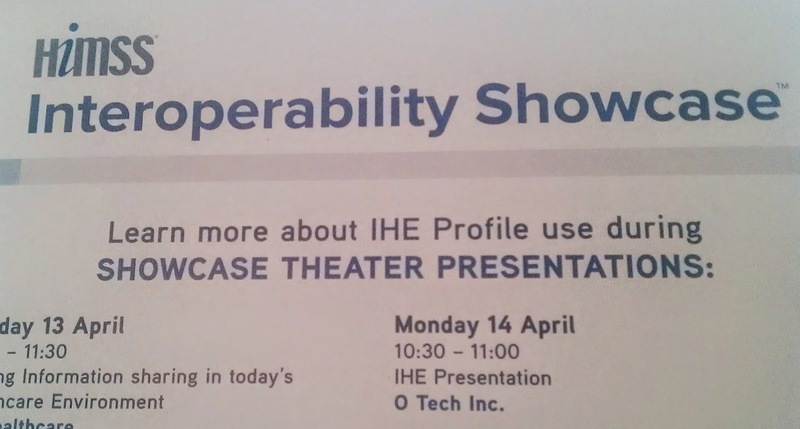 Talking about the IHE showcase, this year was a major improvement over last year’s first exhibit. There were two use cases shown, each with eight stations, but despite the fact that there were “only” two, it would take at least a whole hour to go through each one of them to appreciate all of the details of how these systems could communicate. 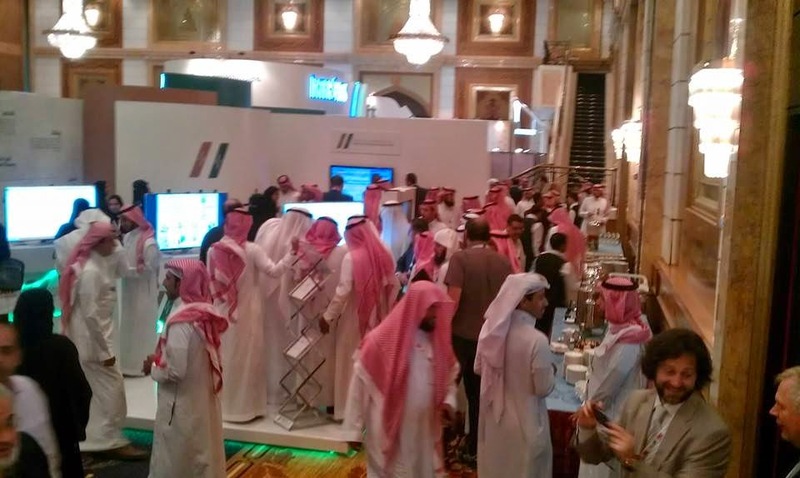 The good news of this show was that there was a lot of “kicking the tires,” as there are several major tenders out to be awarded in the Kingdom of Saudi Arabia, which is making a major investment in healthcare infrastructure. In contrast to the United States, where the implementation of public Health Information Exchanges (HIE’s), which will serve as the hubs to register and even be repositories for regional health care systems is still progressing very slowly, the feeling is that in Saudi Arabia there will be a very fast-paced and massive implementation in the very near term in this region. In addition to the infrastructure being put in place, the feeder hospitals and clinics will need upgrades to their PACS systems to install Vendor Neutral Archives (VNA’s) that can communicate with the infrastructure using the applicable IHE profiles (PIX/PDX, XDS). Key to the success of this initiative is that all the Electronic Health Records need to be ready to exchange information using standard communication protocols and especially the new templates in the form of CDA (Clinical Document Architecture) so that instead of shuffling documents back and forth the data can be imported and exported electronically. 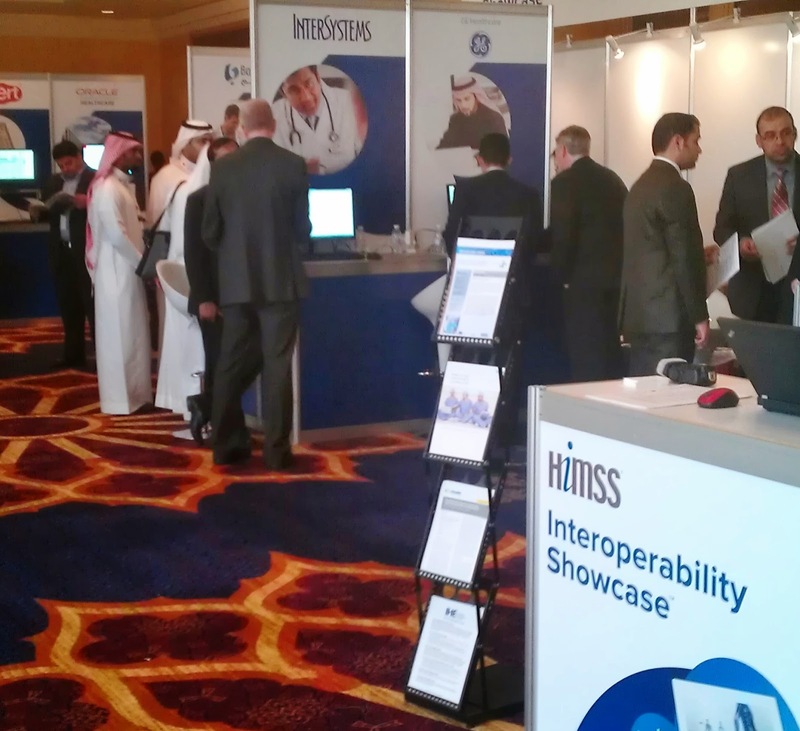 Despite the virus outbreak, the HIMSSME was very well attended, and the smaller scale made it easy to get around and spend a lot of time with the vendors that were present. Instead of relying on local dealers, many vendors are now opening their own offices, either forced by the fact that the service and support has been generally very poor by their local representatives, or because of conditions written in the outstanding tenders. I would argue that if a dealer does not perform, it is in many cases due to insufficient training and support by the parent company, but there is no question that a wholly owned operation is often managed more effectively. A potential issue is the ever-increasing requirement by the Saudi government to hire a certain percentage of Saudi nationals, which as of now is 25 percent. This may be a temporary issue as there currently is a lack of skills and training among these professionals, but with the ever increasing stream of young graduates coming back to their country after being sent abroad to study in first class universities, many of them in the USA, there should be a sufficient labor pool available, if not now, then very soon. The virus outbreak was indeed an annoyance. The fact that many of the children were kept home from school did indirectly impact me, as many of the non-essential healthcare workers such as IT personnel, which I would have liked to visit with in Jeddah, stayed home, which was kind of a bummer. Anyway, a good reason to come back to Saudi Arabia next time, may not be Jeddah but Mecca, which is one hour away. Consequently, the plane was 90 percent filled with pilgrims, all dressed in their white loin cloths and shawls, which definitely made me feel out of place, but they were all very friendly and accommodating. This is what makes travel interesting and never boring. IOCM, critical to synchronize a VNA with your PACS. 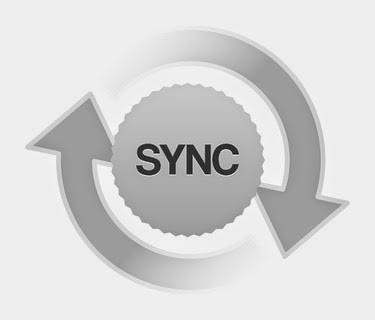 One of the most common complaints and challenges is how to keep the Vendor Neutral Archive (VNA) synchronized with a PACS system, particularly, with making sure that deletions and modifications made within the PACS are executed within the VNA as well. As a matter of fact, one of my PACS students recently complained and told me that her workload almost doubled because of the recent VNA implementation as she has to make all changes, updates and deletions twice, once at the main PACS and second at the VNA. One could argue that this is not a “level 5” VNA as defined here (add link), but, rather a partial and limited VNA implementation without any automated coordination between the PACS and VNA. Even if it were implemented, in what is commonly done in a proprietary manner, a standard implementation would be much better. · Permanently delete old imaging instances or entire studies as may be required by institutional record retention policies (typically after seven years). The combination of needing to distribute copies of images and needing to modify them leads to copies, which are inconsistent, and in turn creates the potential for confusion, error or loss of data. If you are interested how this works, it is important to realize how IHE profiles are defined. IHE profiles include so-called actors, which have a well-defined role and function, and the transactions between these actors. Examples of existing actors are the image manager (database) and image archive, which both provide the core of any PACS or VNA. The IOCM profile defines a new actor: Change Requester. This actor can be grouped with existing actors that manage these objects and that have the ability to apply changes to existing imaging objects, in order to support IOCM. The Change Requester would, for example, be resident at a PACS system, which can then communicate with a VNA, to communicate any updates and changes. 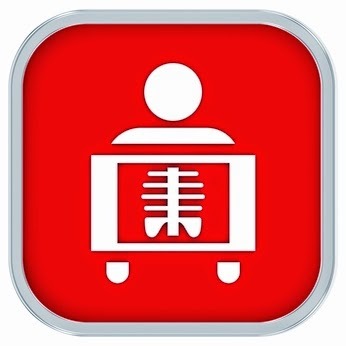 The information is exchanged using a DICOM Key Object Selection Document, aka a “rejection note.” This is a special case DICOM structured report (SR). SR’s are typically used when there is a need to communicate information about images such as which ones are Key Images, where and what type of measurements or CAD results are available, and other applications, hence it is a perfect template for these rejection notes as well. In addition to the IOCM rejection note, there could also be transactions used that include any modified replacement images, and in case there was an issue with an incorrect patient selection, one could use the so-called Instance Availability Notification to communicate this information with the department scheduler. In the case of my overworked PACS student, I only hope for her that her VNA vendor is taking notice of this new profile and starts implementing and/or upgrading its system. This assumes that the PACS vendors do this as well, otherwise the VNA does not have anyone to listen to, but I assume they will follow suit soon. When eliminating film is not necessarily the best solution. 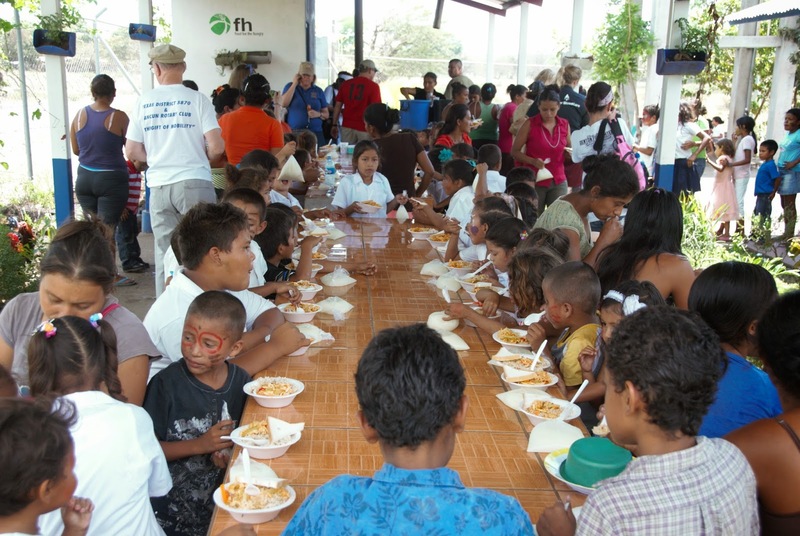 During my recent humanitarian trip to Nicaragua, sponsored by Rotary International, we built a library and feeding center. While there I also visited the local children’s hospital in the city of Chinandega. It was good to see the impact on patient care we had made on a previous trip by bringing in equipment, such as oximeters and other life-saving devices, to help care for these very tiny premature babies. I typically also visit the radiology department to find out if I can learn anything. They just had received a nice refurbished CR system with an X-ray table, and with having the room newly painted, and air conditioning installed, it looked really nice. However, I noticed on the table next to the CR computer an appointment book listing all of the patients that were imaged. It seems it is difficult to get people to let go of their old practices. Even though there was a mini-PACS and patient management module available, for them, there is nothing better than paper. The exams were identified as “exam1,” “exam2” etc. and the appointment book served as an index. If patients are deemed to be in a critical condition, they travel by ambulance to the Nicaraguan capital, Managua. In the past, they would send the film with the patients. In this case, even though a film printer was provided with the system, it is unused. It seems they needed its power conditioner somewhere else, so the printer is not operational anymore. The primary image exchange from this system was intended to be paper using a small desktop printer, however, after the print cartridge ran out, this too is no longer used. While burning the image on a CD is an option, there is apparently no budget for supplies such as print cartridges and CDs. So, the bottom line is that a year ago, before the CR system was installed, critical patients would go with the analogue film to the main hospital. Today, the analogue processor is gone, and there is no means for getting the digital images out of the PC to go with the patient. I resisted the urge to run to the local supply store and buy a stack of CD’s and/or a printer cartridge, however that would only have been good for as long as they lasted. The hospital has to learn how to implement digital technology in a sustainable manner. This is only one example of the trial and error that takes place in aiding developing countries. That is why it is critical to travel and find out the local needs instead of throwing technology at these regions. That does not only apply to medical devices, but equally to any other areas as well. This year I visited a library that was built by another non-government organization next to a school we had started several years ago. The library was very well equipped, with books, a computer, big screen TV with a DVD, and even a copy machine. Too bad there was no electricity to use any of these new gadgets, nor has the education ministry provided anyone to staff the library. I estimate that about 50 percent of all relief money is spent without doing the necessary homework and follow up and is thereby wasted. This is by no means meant to discourage participating or contributing to these causes, just make sure you do your homework and pick the right projects and organizations. We have been very fortunate to be able to sponsor the construction of several small clinics and classrooms in this area with a high success rate for sustainability. It takes work, visits and local follow up to make it a success.